Plum Beauty Oil is an anti-aging, multi-purpose oil that balances, restores and refreshes the skin. Our patent pending blend of plum varietals is naturally abundant in essential antioxidants, nourishing omega fatty acids 6 & 9 and powerful polyphenols, all of which help protect the skin from damaging free radicals. 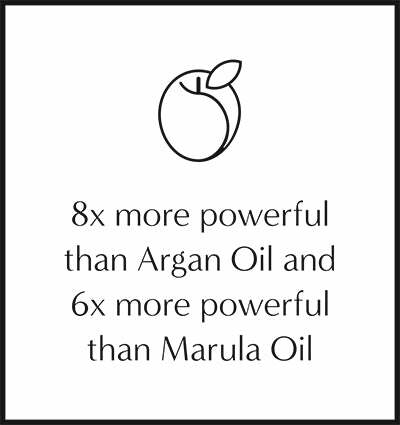 8x more powerful than Argan oil and 6x more powerful than Marula oil in protecting the skin from damaging free radicals.™ It’s also rich in pro-Vitamin A & E to assist with healing and hydration. Luxurious in texture, quick absorbing and weightless on the skin, Plum Beauty Oil, helps calm irritation and seal in moisture without clogging pores. The Perfect Antioxidant Booster for On The Go Glow. Totally Clean. NO essential oils, parabens, sulfates, preservatives, fragrance, chemicals. Directions: Morning & night, apply a few drops to cleansed skin. Additionally, mix a drop with your favorite, face cream, foundation or body lotion to enhance its benefits. For hair, use every day after shampooing or conditioning. Apply oil to ends of damp hair to protect against blow dry heat damage. Once hair is dry, apply directly to the ends of your hair to soften & smooth.